Sign up for free and just shop with Dell Small Business as normal. Our members earned $20,000+ at Dell Small Business in the past month. Dell Quarterly Business Sale: Get Up to 38% off Select Business PCs No code required. Only purchases made on Dell Small Business's US site are eligible for cash back. Boost your business with innovative electronics, including laptops, desktops, workstations and servers. Deck out your office space with leading brands like Linksys, Alienware, Intel, PowerEdge and Toshiba. Weave networks with high-performance routers, and crunch data with sharp processors. Found similar products elsewhere for less? Dell will price match. Save even more with our Dell Small Business coupon codes. If you can’t wait to refresh your startup, get free expedited shipping with a Dell Advantage membership. Optimize work performance with PowerEdge tower servers. These 1- and 2-socket units can propel your business forward with configuration flexibility. Their comprehensive internal capacities will supply investment protection and increased ROI. The Inspiron desktop saves room without sacrificing functionality. Its sleek new design has a space reduction of over 45%. So you can nestle the device neatly on a workstation, in between cubicles and in any other nooks or crannies. Looking for a PC with extra oomph? The Inspiron desktop has a high-capacity hard drive, enhanced system cooling and the new Intel® processors. For all you creatives out there, the XPS 15 laptop transforms designs from drab to fab. Its UltraSharp 4K Ultra HD display illuminates every pixel without needing to zoom in. No more strained eyes for perfect picture quality. Even better, the XPS 15 has 3 million more pixels than MacBook Pro. So you can edit images with surgical precision. In today’s digital climate, budding businesses can never be too prepared for cyber attacks. Hackers can lock down computer files and then hold them for ransom. Sometimes, valuable data is leaked or sold. That’s where the Latitude 5580 laptop comes in. This unassailable PC has a facial recognition log in, touch fingerprint reader and Contactless Smart Card Reader NFC with Control Vault 2. Maximize productivity with the OptiPlex 7040 Small Form Factor. This dynamic device is powered by the 6th generation Intel® Core™. It also has 64GB of the new DDR4 memory and the latest PCIe solid-state drives. These features allow you to multitask swiftly and efficiently. Any purchases marked with an “Order Processing” notification have not been processed yet. Please keep in mind, Dell will send instructions if there are any issues with payments. These emails may go straight to “Junk” or “Spam” so check both folders if necessary. For most orders, payment methods cannot be changed after checkout. You must cancel your purchase before shipping and then make a new order. Only payments made through Dell Financial Services can be adjusted without disrupting the process. You’ll have 45 days to change your payment, but you’ll need to fill out an authorization form first. Dell will price match HP, Dell, Apple, Lenovo or any identical electronics products found elsewhere for less. All you have to do is identify the similar item on another retailer’s website. Then, share a link to that product with a Dell sales associate. You can contact a sales representative with the online Chat tool or by calling 1-877-717-3355. Once the product match is confirmed, the sales expert will complete your purchase. Dell will price match items found on popular retailer sites like Amazon.com, BestBuy.com and more. Found a lower price after purchase? No problem. Dell can refund the difference within 30 days of your invoice date. Please keep in mind, there can only be one product refund per customer at a time. 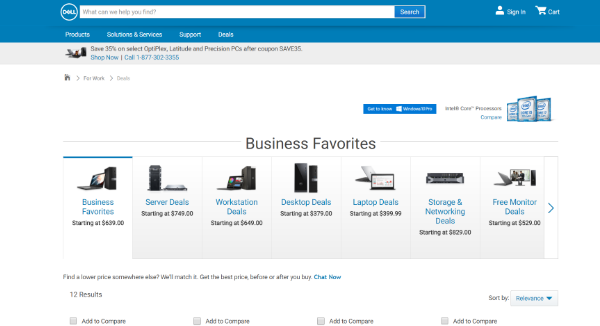 Slash prices with our Dell Small Business coupon codes. Simply copy the code from our Dell Small Business page, and apply it to your cart at checkout. For even more savings, snag coupon codes paired with Dell promo eGift cards. Get royal treatment with Dell Advantage Rewards. You’ll enjoy expedited delivery on select goods and up to 6% back in rewards. To top it off, you’ll have a VIP pass to monthly offers and presales. In order to register for Dell Advantage Rewards, create an account or log into “My Account.” Then select the “Loyalty Rewards” option. Your rewards will be added to your account about 30 business days after an order is shipped. Don’t forget to use them while you have them. Rewards expire after 90 business days, and they cannot exceed $2,000 USD in a 3-month period. Wondering where your package is? You can check the status of an order by phone or online 24/7. Call Dell’s automated order status at 1-800-433-9014. The only thing you’ll need is your 9-digit order number. If you’d like to check online, your “Online Order Status” will let you know the latest purchase updates. It will also help you manage your order. If you see “Confirmed Status,” your order is being processed and has not shipped yet. But you can see the estimated delivery date. You can also request text messages and email notifications when your package finally ships. If you see “Shipped Status,” your order or part of your order is on its way. You’ll find shipping details like ship date, tracking numbers and carrier links. “Delivered Status” means your order has been delivered. You’ll be able to check the Carrier tracking links as well as online return requests, invoice copy and packing slip copy. Small business owners are always looking for ways to cut costs. 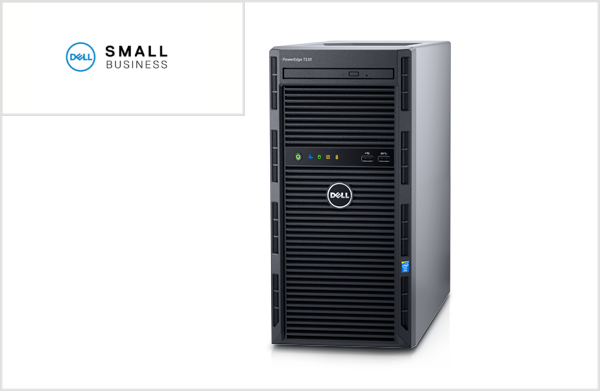 With Dell Small Business deals you can purchase one of their small business solutions ranging from workstation computers to laptops, servers and software, while earning cash back to put back in your business account. Spend that extra cash on whatever your company needs to run most efficiently and take advantage of these outstanding Dell deals to make your business run like a well-oiled machine. Savvy owners know how to leverage deals and discounts to turn a profit, and with our partnership with Dell Small Business, that task is easier to complete than ever.